I had been expecting the market to reverse the gains made during the Spring as a result of the first-time and repeat buyer tax credits. 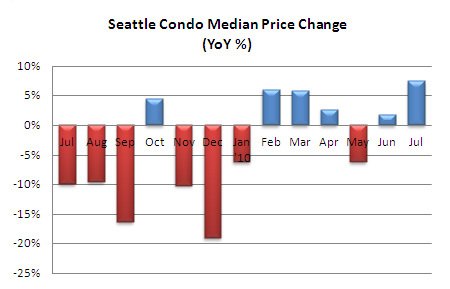 True, condo sales did slow considerably in June and to a lesser extent in July, but median price values have been remarkably stable this year. 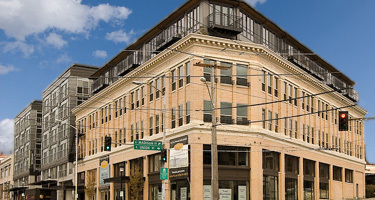 The citywide median condo price in July checked in at $290,000. That’s a one-month improvement of 1.8% over June and a fairly impressive 7.4% increase over the same period last year. 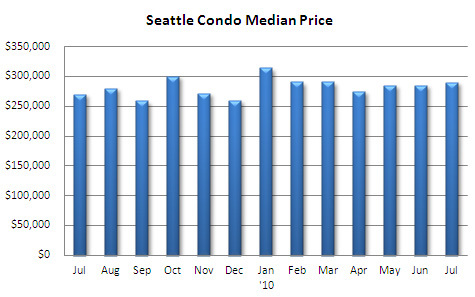 So far this year, 5 of 7 months have shown a year-over-year increase in the citywide median price. And, we’re no longer seeing the wide swings that occurred during the more volatile market place over the past two or so years. That said, though, the results will fluctuate by neighborhood. 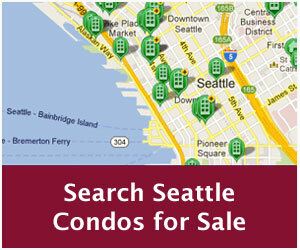 The number of active listings actually dipped in July to 1,554 properties…10 units fewer than June. 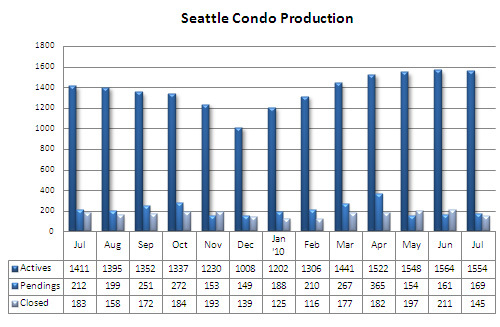 Though, that’s still 10.1% (143 units) more than last July. Inventory levels tends to peak around August, so hopefully we’re seeing the worst of it now. 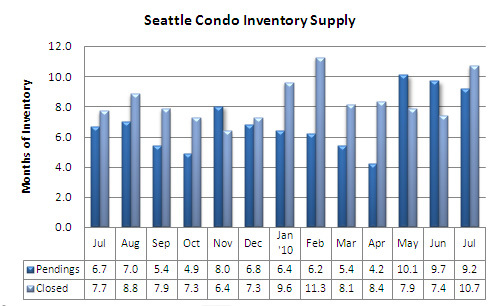 The inventory supply rate, based on pendings, decreased ever so slightly to 9.2 months of supply, which is still a pretty solid buyers market. 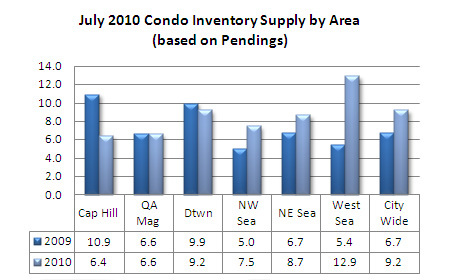 The number of pendings rose 4.9% over June to 169 units, but that was a 20.2% dip from July 2009. 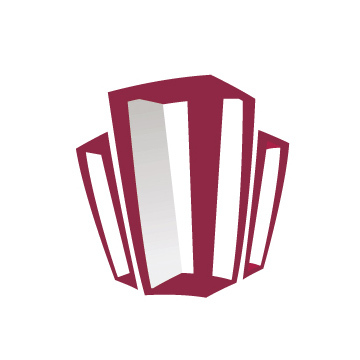 The number of closed sales dropped more substantially, down 31.3% from June and 20.8% from July of last year. Going forward, the market will likely fare better than I’ve been prognosticating as it corrects itself. Although I still remain a bit cautious in my assessment as we haven’t hit bottom yet, I think we’ll continue to see fairly stable citywide condo values over the next few months. Interest rates are expected to remain low, which will help keep the wheels churning. However, we’ll experience slower sales activity as we wind up the year since the 2nd half of 2009 was artificially propped up by the rush to meet the original tax credit deadline last Fall. So, fewer sales but more stable values. why do real estate agents continue to report MEDIA Numbers? they often lead to wrong interpretation of data. it would be MUCH more accurate if you reported averages and also have the data broken out by price bands too. Technically, these are not media numbers, but media uses them. These are results calculated from the NWMLS database, which is probably the most accurate we have for the local region. That said, there’s a caveat. 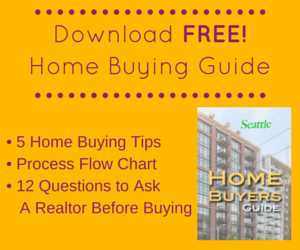 While the NWMLS database contains nearly every home sale transaction, it’s not 100% accurate as it does not include private sales, foreclosure auctions, non-foreclosure auctions and many developer-sold properties. I do agree with you that having the data broken down further may be more relevant to consumers. I would need to manually run and calculate the stats. If I have time, I’ll see what I can do. housing stats should always show average, median and price bands in my opinion…otherwise you can’t tell if the data distributions are skewed.